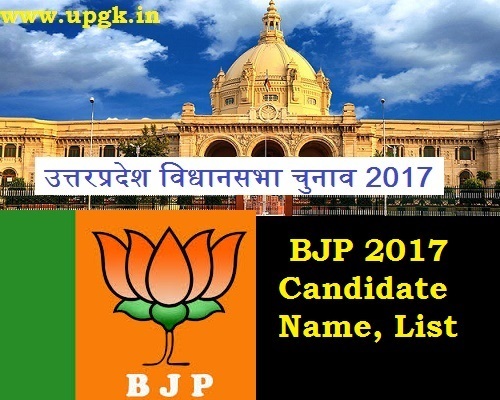 Uttar Pradesh BJP Third List of 67 Candidates for UP Election 2017: Bharatiya Janata Party (BJP) releases Third list of 67 Candidates on 24th January for Uttar Pradesh Vidhan sabha Chunav 2017. 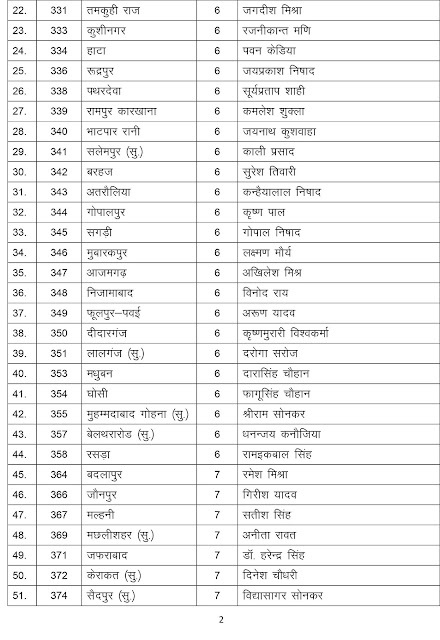 Now the tally of announced names has reached to 371. BJP already declared First list of 149 Candidates on 16th January while 2nd List of 155 candidates on 22nd January 2017. 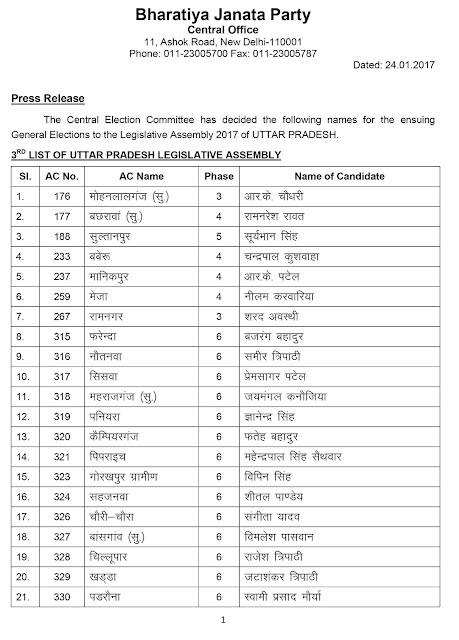 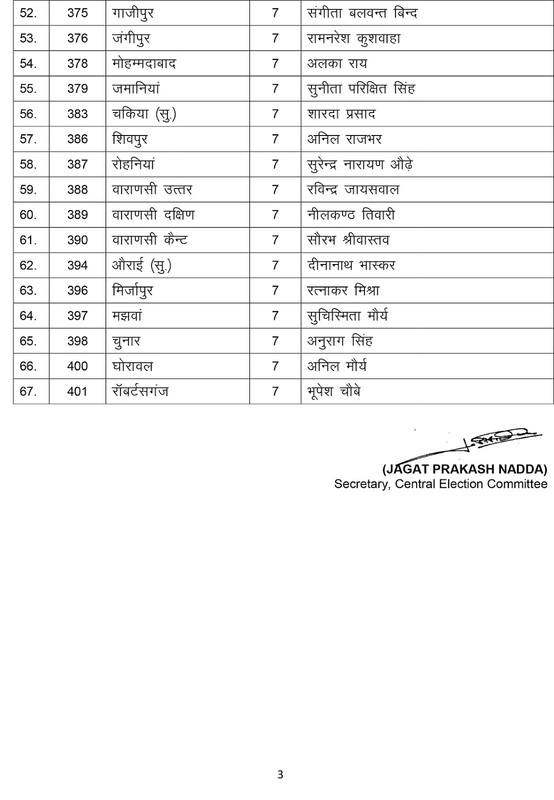 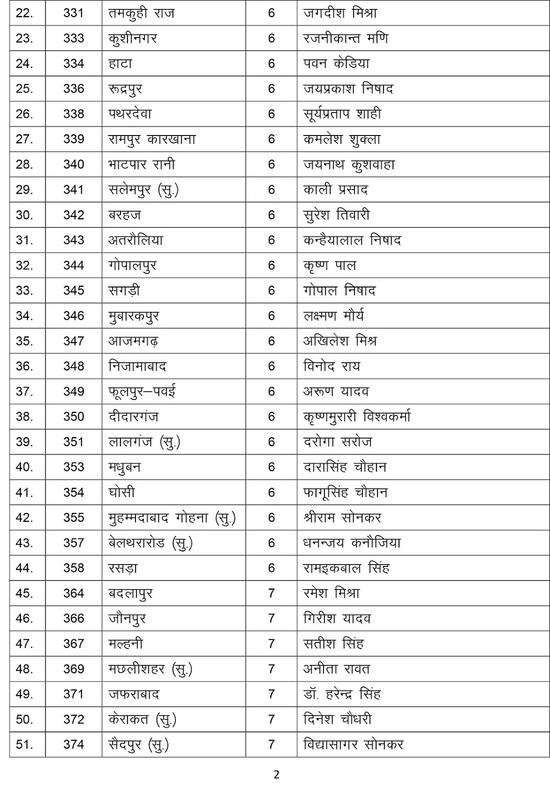 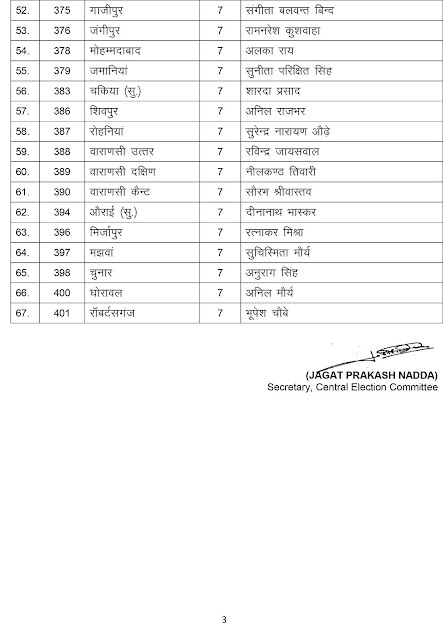 While Third List of candidates contains 67 Candidates for UP Election 2017.